Walking angelic paths certainly leads you to prosperity. 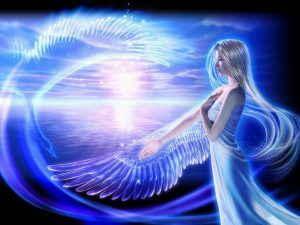 Angel readings provide solutions to people who want to seek guidance in the direction which their live is moving towards. Angel cards can offer exceptional insights into relationships, careers and personal finances among others. This type of psychic reading guarantees confidence to people seeking guidance and direction in things that matter to them in life especially when they are set out to make huge bold steps which could change their lives for the better. As a matter of fact, angels are never concerned about negativity. This is one of the reason why all the cards that are used in angel readings show positivity, but at different levels. Psychics comprehend that angels are always present and they will never fail to shower us with unfailing love. They are never concerned about the faults as well as mistakes which a person make hence they are always there to help to anyone who is in need of assistance. Because angel readings are considered to be positive, they are associated with strengths such as love, joy, kindness, self worth and exceptional strength. They will never bring out what is hidden in your skeletal closets. Also, the readings will never show things that could affect you negatively. Anytime you reach out to an experienced psychic to do your angel readings, there is no doubt that you can find the satisfaction which you need to move ahead and achieve your life’s goals. What Kind Of Answers Will You Receive? When you ask the psychic to read a certain aspect of your life, say something like finances, you should not expect to get a yes or no answer. The kind of answers that you will be presented with are very general in nature and can indeed help you figure out on your own how you can arrive at the goal that you have in mind. It is of paramount importance that you use the general answers that are provided to define your destiny by picking a few solutions that seem to be specific and practical in nature. However, you are asked to be honest with the kind of answers that you will provide to questions. What you ask or answer should relate to you and not someone else. This way, you can have the assurance that you will arrive at the destination which you have always desired in life. Are Angel Readings In The Spiritual Realm Only? Some people believe that they do angel readings on matters of spirituality only. Just like other forms of psychic readings such as tarot readings, angel psychic readings can cover all aspects of human life. This means that you should never just restrict yourself to matters that pertain to spirituality. What Should Be Done Before The Session Commences? Taking time to focus on yourself in a place that is distraction free will go a long way in ensuring that you create the much needed connection with your angels. Both you and the professional psychic reader may offer a prayer that asks the angels to bless the readings and assist in ensuring that the right interpretation is provided. It’s of essence to know that this practice is also common where the conventional tarots are used. How Do You Hire A Reader? There are certain instances where you may feel as if you are lost when looking for the services of a professional psychic. If this happens to you, you shouldn’t think you are alone. You could probably commence your search for a reliable psychic reader online. There are a couple of review sites which could refer you to a website that is run by reputable psychic readers. There are a number of ways which you call on the angels and among them are the Dolphins and Magical Mermaids, Angels and Saints, Magical Messages, Life Purpose, Romance Angels and Mary, just to name a few. There are many other names, but each of them is used in reference to the angels depending on what you are asking for from the angel readings.